Successful promotion campaigns don’t happen by chance and to realize goals, promotional products programs must be carefully planned. Take into consideration the audience, budget, and of course the ultimate result. Developing a promotional plan for your business is the best way to ensure results. Whether your goal is to increase traffic at a tradeshow exhibit or to boost sales with current clients, the first step in any campaign is to clarify the purpose of the program. Know your end goal in order to properly develop your promotional products programs. Once you know your objectives you can pick the best promotional products for your program. 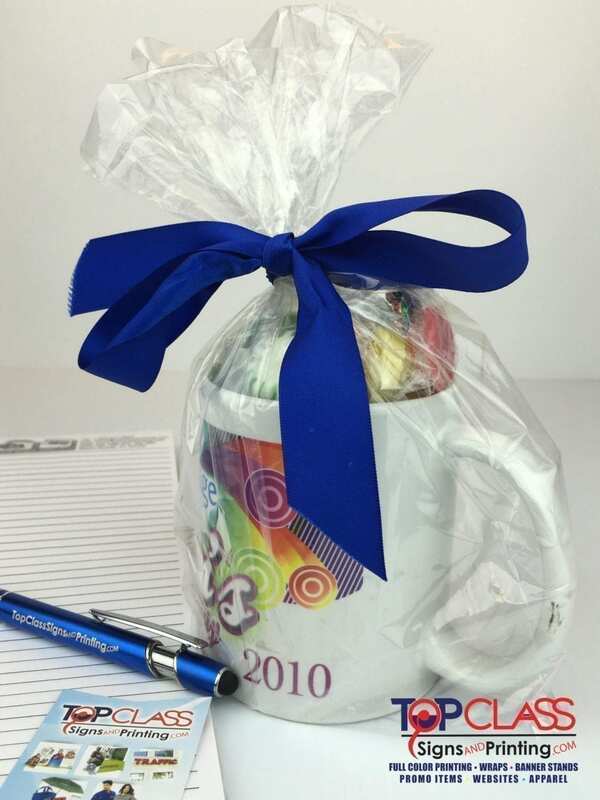 Distribution of a promotional product and printed materials is as important as the item itself. Research shows that a carefully executed distribution plan significantly increases the effectiveness of promotional products. For example, a pre-show mailing to a select audience delivers more tradeshow traffic and qualified leads than simply distributing items to passersby at the show. Imprinted mugs are always a great tradeshow giveaway. Linking a recognizable logo and color to all aspects of a campaign, from promotional products to sales sheets to product packaging, helps create an instantly recognizable image. When developing your promotional plan keep your brand in mind. Supporting a campaign’s theme with a message helps to solidify a company’s name, service or products in the target audience’s mind. For instance, to promote its services to small businesses, a bank created the theme “Are you tired of being treated like a small fish?” and sent fish-related products to its prospects along with promotional literature. Make your promotional program fun and memorable. When developing a promotional plan keeping your brand and theme in mind is very important. Also make sure to know your goals and targets in order to track your ROI. Need help developing your next promotional plan, contact us today.